Delphine's place: November Krafty Peeks... Day ONE! November Krafty Peeks... Day ONE! Hello everyone! 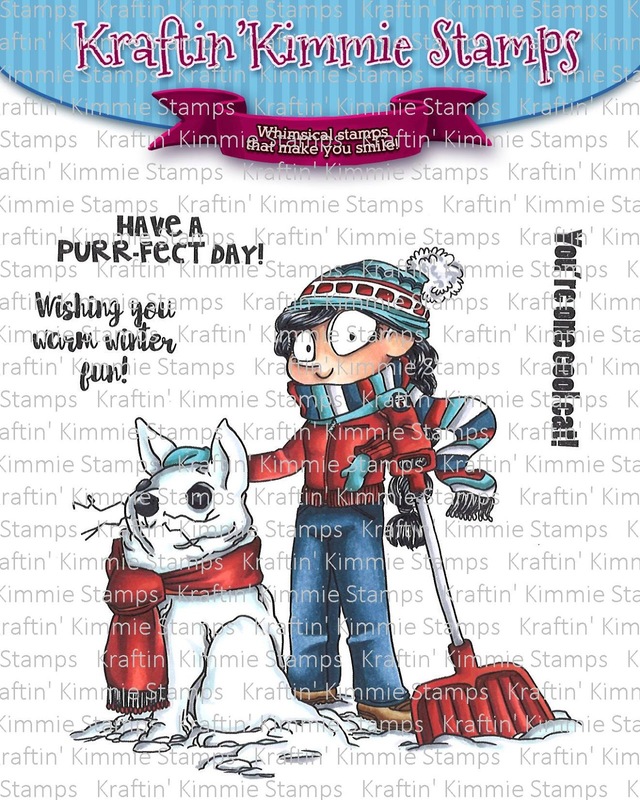 Welcome to Day ONE of our November Release Peeks at Kraftin' Kimmie Stamps! This is our final stamp release for 2017 at KKS! And we've got FIVE fantastic new sets for you! Today we have a fun wonderland stamp set by artist Annie Rodrigue called WINTER WHITNEY! All the Krafty Team and Guests are listed below and be sure to hop around and leave some love at each and every stop because one lucky commenter will WIN a $10 gift voucher to the store! Plus we're doing a GIVEAWAY of the ENTIRE release on the Krafty Friends Facebook Page! Your card is so adorable! I love the clouds in the background. Love it!! Join the 12 Mixed Media Works of 2016! Welcome to my blog! I am 43, French and I live in Paris. I have 2 wonderful boys aged 11 and 18. I love making cards when I have time... and when I don't have time:-)! What I like the most is colouring, colouring and... colouring:)! November Krafty Peeks... Day THREE! Paperbabe Stamps Challenge... and DT CALL!! November Krafty Peeks... Day TWO! Thanks for picking me :-)! Thème Simple. Images de thèmes de mammuth. Fourni par Blogger.